Germany’s renowned Kind + Jugend trade show celebrated its fiftieth anniversary this year, maintaining its stake as one of the most influential and trend-setting trade shows of all. Moving with the times is key and the exhibitors at Kind + Jugend have certainly stepped up to the plate with a host of innovations for sophisticated families. With more twin births than ever occurring each year, this niche market came to the fore at the trade show with the debut of the Bugaboo Donkey, launch of the Mima Kobi pram and, the first of its kind we’ve ever seen, a cot for twins! 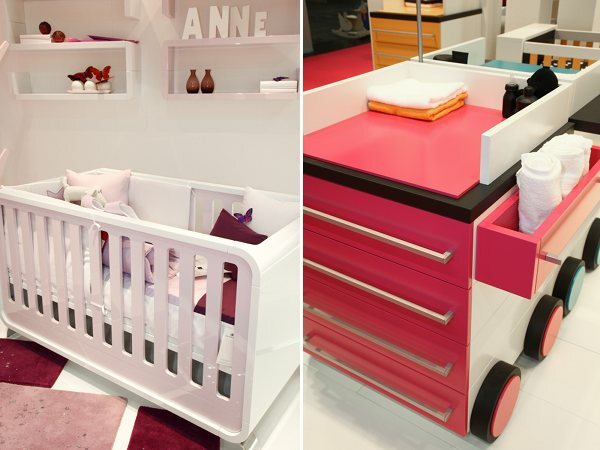 Germany Company Mini Meise delivered this incredible creation (above) so twins now have the space to sleep together. Also on show were beautifully-styled room settings (below). Baby Suommo stacked up beautifully at its glossy high-powered launch. Who wouldn’t want this luxurious furniture in their seaside mansion? There’s no doubting BeanEasy‘s unique forms and fab colours (above). This Dutch company also make the cot, change table and modern armoire in a special limited edition Miffy version! 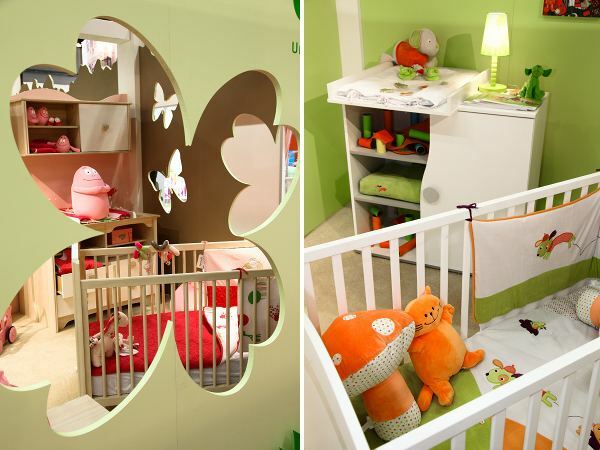 Sweet nursery set-ups from French furniture company Gautier. This is the baby furniture offshoot which goes under the name of Galipette. It’s instant love at Babyology headquarters for the delightful Micuna bassinet (above). 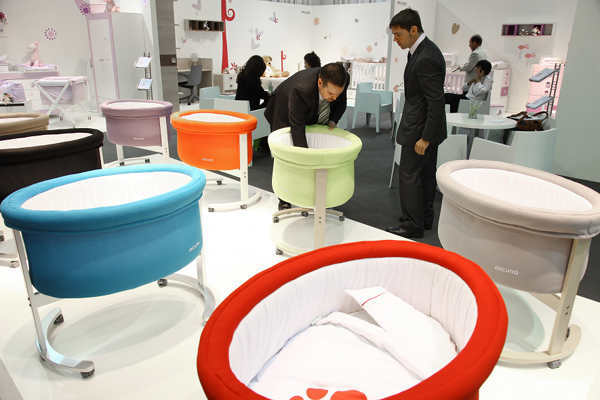 The company, which hails from Spain, also makes beautiful nursery furniture. In this business it’s difficult to have no words for the phenomenal products passing across our desks each day. Alondra (above left) has done the impossible and cast a hushed spell across the team as we marvel at the lines of this amazing cot. Stay tuned for more about this gorgeous Spanish brand. 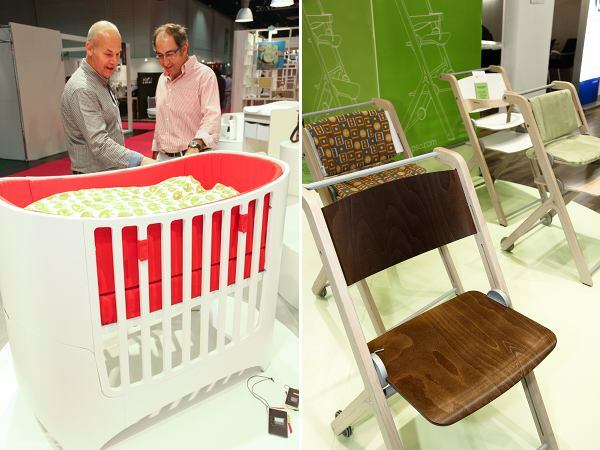 It looks like Belgian brand Emdeka are branching out into baby furniture (above right). It is best known for furniture for teens. We’re seeing some gorgeous Danish textiles from Leander which really polish the cot’s distinctive form. We also love these chairs on wheels from German company Paidi which are modelled on the principle of many uses through many life stages. Lastly, here’s a snapshot of the anniversary exhibition of children’s furniture design over the last half century. 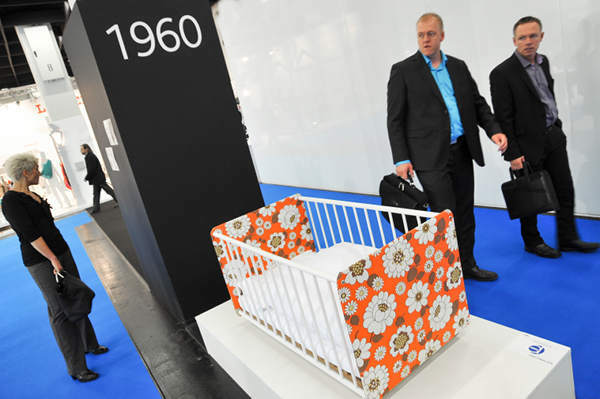 We’re loving that Sixties cot!